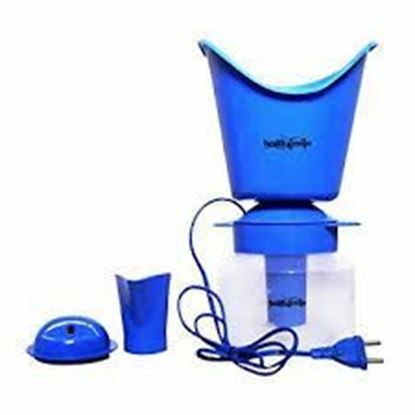 Information about Healthgenie 3 in 1 Steam Sauna Vaporizer Superior Blue Healthgenie 3 in 1 Steam Sauna Vaporizer Superior is unique in nature. It is useful for both health & beauty. This vaporizer is highly effective and easy to use. 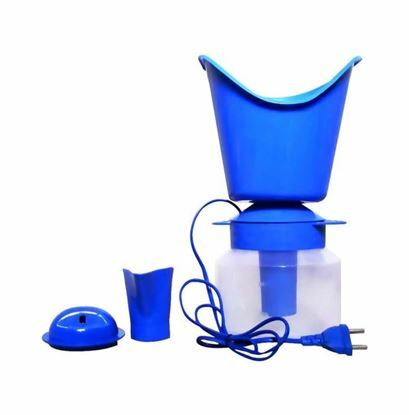 It is ideal for the purpose of inhalation during the cold or respiratory problem. The vaporizer is convenient in carrying while on the go as well as at home. It has a plastic body which is shock resistant and comes with a long cord. The vaporizer has one more advantage, it can be used as a beauty purpose with sauna, you can use the steamer during facial, clean up or in removing clogs out of the face. Salient features of Healthgenie 3 in 1 Steam Sauna Vaporizer Superior: It promote relief from cold, throat infection and congestion problems. You can add inhalants to the vaporizers like vicks and other medicines. The vaporizer has 3 attachments all in, consisting of the nasal steamer, vaporizer, and facial sauna. In the nasal steamer, you can add inhalant for cold relief and congestion. The attachments are provided with the smooth edge for the nasal and facial purpose. The vaporizer helps to clear the clogs and open the facial pores present deeply. It is quite convenient to carry on the way or at home as well. The vaporizer is very easy to use and maintain. Note: You may experience slight odor of burning plastic due to heating and settling of virgin plastic. Hence it is highly recommended to wash the vaporizer with lukewarm water before first use. Do not use RO water as it stops the steam generation process.